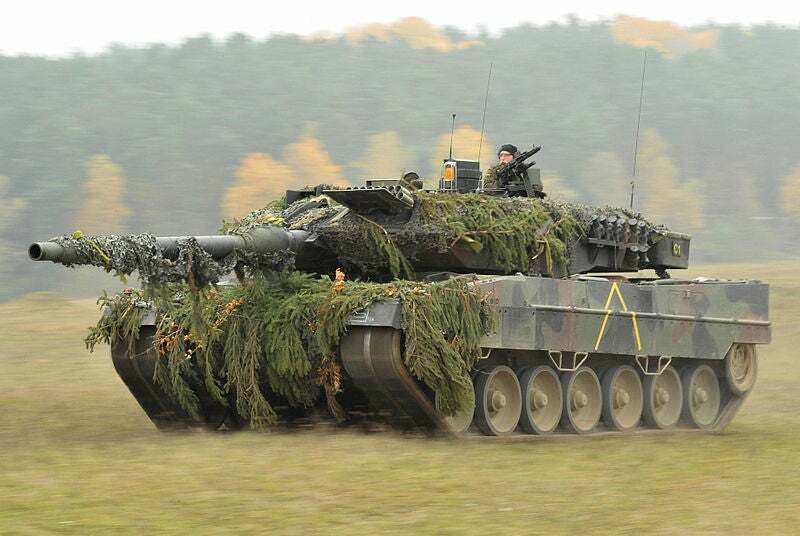 A German Army Leopard 2 tank assigned to 104th Panzer Battalion. Credit: US Army Europe / Visual Information Specialist Markus Rauchenberger. The German Federal Office of Bundeswehr Equipment (BAAINBw) has awarded a contract to defence manufacturer Krauss-Maffei Wegmann (KMW) to upgrade Leopard 2 main battle tanks (MBT). The contract was signed by both parties last month and involves the modernisation of a total of 101 German Leopard 2 A6 MBTs. Under the contract, which is valued at more than €300m, the company will bring the Leopard 2 A6 variant up to the A7V standard. The enhancements will be delivered to the A6 variant’s operating concept, targeting system and fire control computer, as well as the chassis among other units. According to the company, the provision for additional training will not be required for tank crews to familiarise themselves with the systems installed on the different Leopard variants. The modernisation of Leopard 2 A6 tanks to A7V level will reduce the variety of MBTs deployed with Bundeswehr, the unified Armed Forces of Germany. This upgrade will also simplify the logistical footprint of the systems. The company is required to deliver all the vehicles under the contract by 2026. So far, KMW has produced and delivered more than 3,500 Leopard 2 MBTs to 16 nations across the globe. The German Defence Ministry awarded a €760m contract in 2017 to KMW to upgrade 104 Leopard 2 tanks from the A4 configuration to the A7V standard, reported German news agency Deutsche Presse-Agentur. In April 2018, KMW delivered the first three modified and upgraded ‘German-Dutch’ Leopard battle tanks to the German Army.